Have ever considered how easy it is to quit smoking? If you are ready mentally and emotionally to let go of the old cigarette habit, then you will find out how easy it is to be a non-smoker with sense of freedom – you will experience how easy it is to quit smoking! This safe and proven quit smoking program uses a combination of advanced hypnosis and NLP techniques. It is so easy and powerful that after just 60 minutes you will know for yourself that you are now a non-smoker. 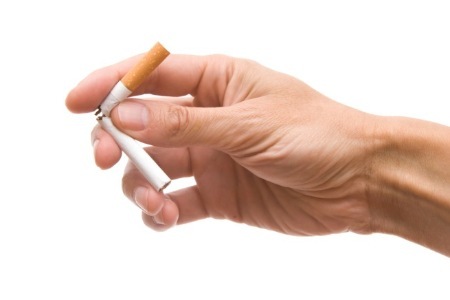 Why Should I Book In for Quit Smoking Hypnosis? The Quit Smoking Program means that you won’t feel as if you are giving anything up, or having to cope with not having cigarettes – it will feel very natural for you to be smoke free. Our program has such a high success rate we back it up with a ‘program support guarantee’. This means, we will assist you to be successful in quitting smoking and provide additional support should you need it. Nicola, once a smoker of 27 years, was fortunate enough to experience first-hand the Quit Cigarettes program and was amazed at how easy it was for her to finally quit smoking once and for all which inspired her to help others. Nicola has been where you are and she understands how you feel, so why not talk to her about the Quit Smoking program today. To find out more and to book your session call Nicola on 0409 185 551 or complete the enquiry form. We talk together about your triggers, fearsand reasons for smoking. By identifying your beliefs about smoking and the triggers associated with your smoking, we can break the cycle of ‘trying’ (and usually failing) to quit. In a relaxed, hypnotic state, we replace the habitual reasons why you smoke with a new range of habits – how you think, act and feel. Remember, this program is not about will power. It addresses the core reasons underneath why you smoke. Once these reasons are addressed, you will feel relaxed, resilient and calm about being a permanent non-smoker. Find out more about The Hypnotherapy Group’s Quit Smoking program now or download the information sheet.